A friend of mine sent me a link recently to an article entitled 100 years of the Leica camera. What immediately struck me was how many of the most iconic images of the 20th century were shot using this compact device. From the photo of a young Vietnamese girl fleeing naked from a napalm attack to the world-famous kiss between a sailor and a nurse at the end of World War Two - all were taken on a Leica. I have to admit to being a bit of a camera nut - I tend to use a digital on many occasions these days for ease, but my heart truly belongs to my manual Olympus OM1-N. And the truth of the matter is it has accompanied me on many trips and taken some fantastic photos. On a number of occasions my travel companions would complain of the time it takes to set up, but it is worth it for the results. And nothing compares to the sheer joy of hearing that satisfying clunk that tells you that you have taken a photo - none of these insipid noises that are added to digital cameras in the 21st century - a proper solid, definite clunk. 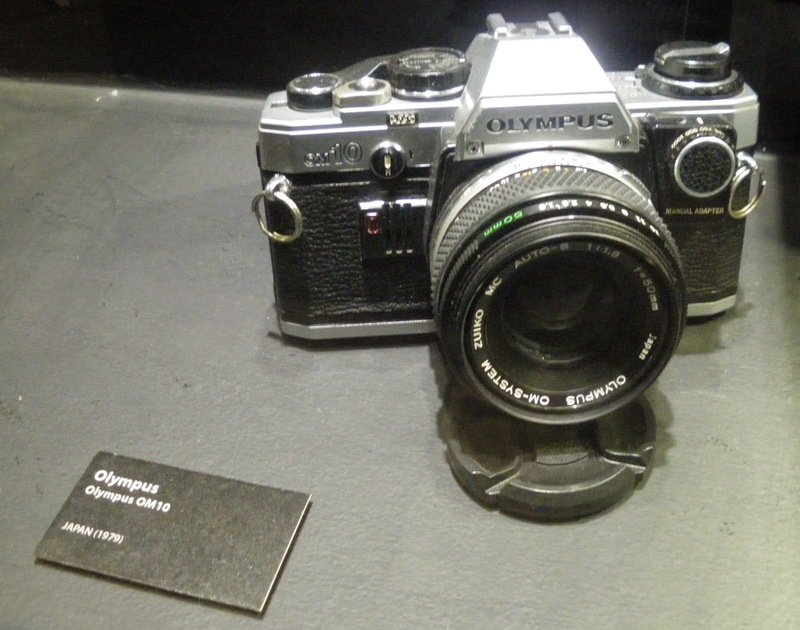 My SLR belongs to something of a camera dynasty, as my dad travelled from Manchester to Nigeria overland in the 1970s with an Olympus OM1. It never let him down - from hitchhiking across the Sahara in a date lorry to living off a huge bag of cheese in France. So the logical step was to furnish his two daughters will similar models on their 17th birthdays, which he did. I have continued that trend and bought an OM1 for my boyfriend before he set off for South America on his epic four and a half month journey. We now have two large bags full of undeveloped films - around 50 in total - and every so often one or the other of us will dip a hand in each and take two films to be developed. This is something of a pot luck, as my bag of films includes pictures taken in destinations as diverse as Turkey, Ushuaia and Spain. We then sit and look at the two sets of photos together. There was once a funny incidence in which we assumed a film of Iguazu Falls belonged to my other half, until halfway through the pictures a photo of me appeared - I had done my own South American voyage a few years earlier! So imagine my delight when exploring the streets of Penang on a recent trip to Malaysia, as I stumbled across a camera museum. What is more, one of the display cases held a very similar model to mine inside it. I know I shoot with a digital a lot these days, but I never intend to give up using my manual SLR all together, as I believe consigning it to a museum would be a crying shame. The Penang Camera Museum is a great place to visit, with lots of different models on display and a fantastic collection of vintage flashbulbs. It is not just appealing to the camera aficionado, however, with some brilliant interactive exhibits and models explaining how various photographic techniques have been developed over the years. Stepping inside a giant pinhole camera was particularly fun and if a member of your party goes outside, you can see how they appear to be upside down. If you are new to manual photography and want a few pointers, check out this great infographic. When I went to Chernobyl last year, on an organised tour (I must write about that one day! ), most of us had a variety of digital cameras - DSLRs or high-end Compacts. However, one of the group, a 30-something chap from the Czech Republic, had three manual cameras. His pride and joy was a genuine 1969 film camera from Czechoslovakia (I don't remember the brand, alas) that was huge, silver, an absolute pain to load the film in, expensive to operate ('specialist', shall we say), he had to manually process the film himself, and each roll of film took only 12 pictures. I asked him wasn't it awkward to carry and use. "Yes," he said, "but it takes absolutely magnificent pictures! ".